I just want a great pet! - They look for good health… without good health, nothing else matters. In Germany they must X-ray the dog’s hips and have them certified “before” breeding. Sadly, many dogs are euthanized every year due to poor health and/or increased medical bills. - They look for intelligence… everyone wants a dog that is smart and easy to train. - They look for self-confidence… without self-confidence, the dog may never be able to offer protection and can actually become a “fear biter” which is a dog that over-reacts in situations, like a small child pulling it’s ears/tail or smacking them with a toy. 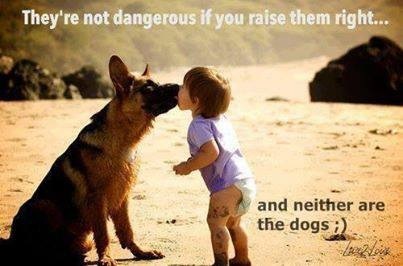 A dog with good self-confidence knows that the child is not a threat and therefore can simply walk away. A dog without self-confidence can become a liability! - They look for athletic ability/agility… No one wants a clumsy dog or a dog that cannot exercise properly with it’s owner. Whether it’s playing competitive fetch in the back yard or competing in a local dog sport. Good athletic ability/agility can also be tied to good health, especially when looking at endurance. - They look for good temperament… A quality German Shepherd should not be a “sharp” dog that reacts quickly without thinking. They should not be overly reactive and should be able to accept other dogs and other people… of course much of this has to do with the owner properly socializing them at a young age. - They look for good drive levels… No one wants a dog that is a squirrel and/or bouncing off the walls with no OFF switch, yet most want a dog that will run/walk with them, play fetch and keep up with the kids! Who Buys Select K9’s puppies? Mfg. assemblers, Doctors, Surgeons, Police officers, Nurses, EMTs, Firefighter, Custodians, DNR officers, Veterinarians, Dog trainers, Business owners, FBI agent, Detectives, U.S. Airline Marshal, Airline stewardess, Pilots, DOT operators, Retail clerks, Waitresses, Tattoo Artist, Jeweler, Factory/company employees, Salesmen, Military vets, CEO’s of corporations, Company managers, Heavy machinery operators, Mechanic, Contractors/tradesmen, Farmers, Teachers, Pastors, Hunters, Truck drivers, Bankers, Professional drivers (chauffeur), Stay at home moms, Daycare owners, College students, The retired, Senior citizens, NFL football player (pending) and many, many more! These are some of the careers that we could recall from memory, all have purchased one or more puppies. We often do not know their occupation, unless they volunteer to tell us, as we typically do not ask. How can I reserve a puppy from Select K9's? A: We will accept a $250 deposit to reserve a puppy from one of our planned/existing breedings. The deposit is non-refundable, with no exceptions, since we only accept a limited number of deposits. If we are not able to provide you with a puppy (e.g., you wanted a female, but only males were born) or if your circumstances change and you cannot take a puppy from this litter, we can transfer you to one of our future breedings. - Unless otherwise noted, all of our puppies will come with "limited registration" (no breeding rights). Please ask us if you are interested in breeding. A: Usually our puppies leave our kennel when they are 8 weeks old, after they’ve been tattooed in their right ear, wormed, and have received all necessary vaccinations according to their age. A: We are always happy when our customers can come to pick up their German Shepherd puppy. 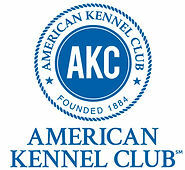 We would love to meet you, show you around our kennel, and tell you about our dogs. We are occassionally able to drive part way to meet you at a closer location, depending on the distance and after a deposit has been made, or in some cases, paid in full. A: Puppies are very susceptible to disease and if a virus is introduced, an entire litter may be lost. Visitors may have been visiting animal shelters, or other kennels prior to coming to Select K9's and could then transmit viruses quite easily. Also, the mother of the pups is usually very protective at this point, and will get nervous knowing that there are strangers near her puppies. In addition, it is very difficult to evaluate puppies at this age, so the best time to come look at the puppies, and pick up your puppy, is after they are at least 7 weeks old. At this age they have received their initial vaccinations and their personalities and structure can be judged much easier. A: If a customer lives too far away, we will ship the puppy. We will take care of all necessary paperwork and arrangements with the airline. This will include a health check by the vet prior to shipment. *Sometimes we are able to meet customers half way... depending on the distance that needs to be driven. A: Shipment cost for an 8 week old German Shepherd puppy is $450* anywhere in the cont. US. This includes the crate that the puppy will be shipped in, which is yours to keep. It also includes the cost of the Health Certificate and traveling insurance. The cost of shipment of an older puppy/dog may be higher due to increased weight or if a larger crate has to be used. *Price is subject to change due to a change in airline costs, fuel costs, or other incurred costs. A: We will confirm shipping arrangements with you 1-3 days before shipment and will inform you of the airline, flight number, confirmation number, and arrival time. We will provide you with the phone number of your cargo facility where you will be picking up the puppy so that you can call for directions. We will stay in touch throughout the shipping process. A: You should set up a cozy nest for your German Shepherd puppy in an out-of-the-way place. Make sure it has soft (preferably natural, not synthetic), easy to wash bedding. Have several safe toys, 2 feeding bowls, and food ready for your puppy. We recommend stainless steel bowls set up on a stand with adjustable height, so that your puppy eats and drinks from elevated bowls for correct posture development. An extensive brochure with lots of good advice on German Shepherd puppy raising will arrive with your puppy and hopefully will answer many of your questions. A: There are two main things to consider if you want your puppy to develop well: diet and socialization. Please do not take them lightly! While your puppy is growing, you need to make a special effort to take him/her different places where he/she can meet people of different ages, other dogs, see traffic, hear different noises, etc – almost every day! Look at this as an additional responsibility that comes with owning a puppy. Making such an effort for a short period of time (just a few months) will dramatically impact the entire future life of your dog. *Also, we highly recommend that you wait until one year of age before spaying/neutering your puppy. Spaying or neutering your puppy before one year of age will also void your dog's hip/elbow guarantee. Recent studies have shown that dogs that are kept intact until one year of age, have a much higher chance of developing good hips/elbows! We put a lot of work and heart into making sure that our puppies are as healthy as possible. We want our puppies to stay healthy for many years to come! * Unless otherwise noted, all of our puppies will come with "limited registration"
What weight should my G.S. puppy be? The following are only approx. weight guidlines, each G.S. puppy may vary.
. Kg. Lbs. Kg. Lbs. Where are Select K9’s puppies sold? A couple of our puppies have traveled across the ocean to find themselves in amazing homes in other countries (Italy, Greece, Germany). In the USA, we have our puppies ranging from as far South as Texas and as far East as the Carolinas and as far North as Alaska. The majority of our puppies are placed in great homes from Minnesota, with Minneapolis / St. Paul being the most common city that we see, although the Rochester area is quickly becoming popular as well. We are always amazed at how many of our clients come from South Dakota and Western Minnesota. We have had several come from Northern Minnesota and only a handful from North Dakota. We also have a significant amount of people coming from the Chicago, Illinois area and Southern Illinois. Iowa is slowly becoming more and more common as well. We have had a couple customers come from Indiana and someone drove 11 1/2 hours from Cincinnati, Ohio (23 hours total drive time!) to get their puppy from us. We have only had a few from Michigan, with most being from the Upper Peninsula of Michigan. Of course, we also place a lot of our German Shepherd puppies in our beautiful home state of Wisconsin! :) Although, Northern Wisconsin has not been as prevalent as Southern Wisconsin. The Milwaukee and Madison area has a much higher population, with a higher number of German Shepherd Clubs and dog enthusiasts searching for top quality, Champion German bloodlines with amazing pedigrees. In the future, we hope to have our top quality, German Shepherd puppies in many other states as well, so we invite customers from Nebraska, Colorado, Wyoming, Montana, Oklahoma, Kansas, Missouri, Arkansas, Kentucky, Tennessee, West Virginia, Pennsylvania, New York and even Canada! We Welcome visitors from all over (with an appointment) as we love to give tours of our kennel and let people meet our dogs. We typically do a phone interview first, to make sure that our puppies are going to great homes and to make sure that our puppies are a good match for you! :) We just want everyone to be happy! If you are interested, please go to the “contact us” page of our website. Thank You!